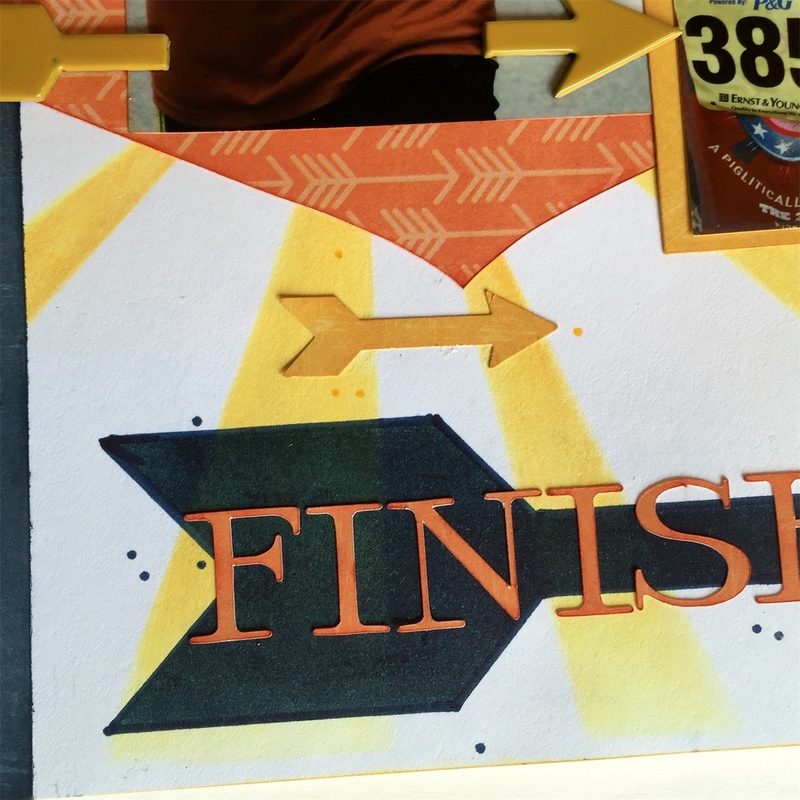 Blog Quick Quotes: Finish Line with Alicia! Greetings Quick Quotes readers! 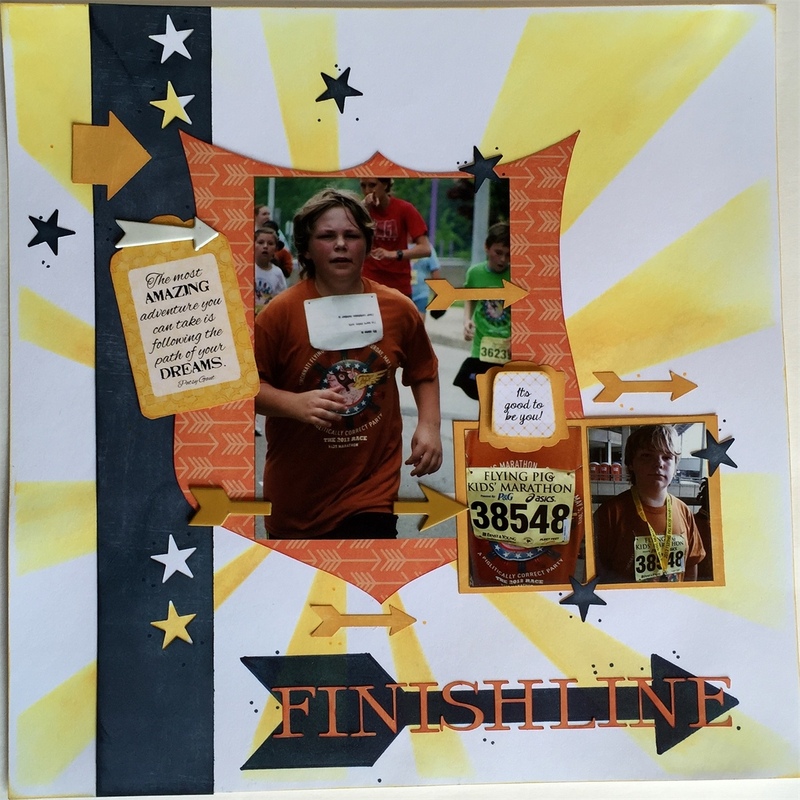 Alicia posting today with an athletic layout featuring PowderPuff Chalking Inks used with some stencils. I had so much fun using stencils and PowderPuff Chalking Inks on my cards for this month's challenge, so I thought I would move to a larger project. 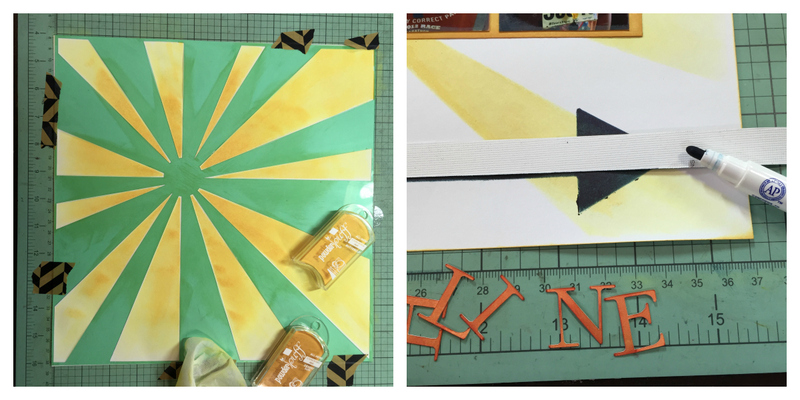 By outlining the edges of the stenciled arrow I really sharpened the look. I added all kinds of punched arrows and arrow brads all pointing toward the finish line! Finally, a little doodling and dots finishes off the layout.